1. 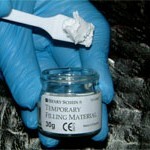 Temporary Filling Material: Use enclosed spatula to apply small amount of Temporary Filling Material onto tooth fracture. 2. 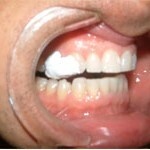 Allow it to harden and advise patient to see dentist ASAP.